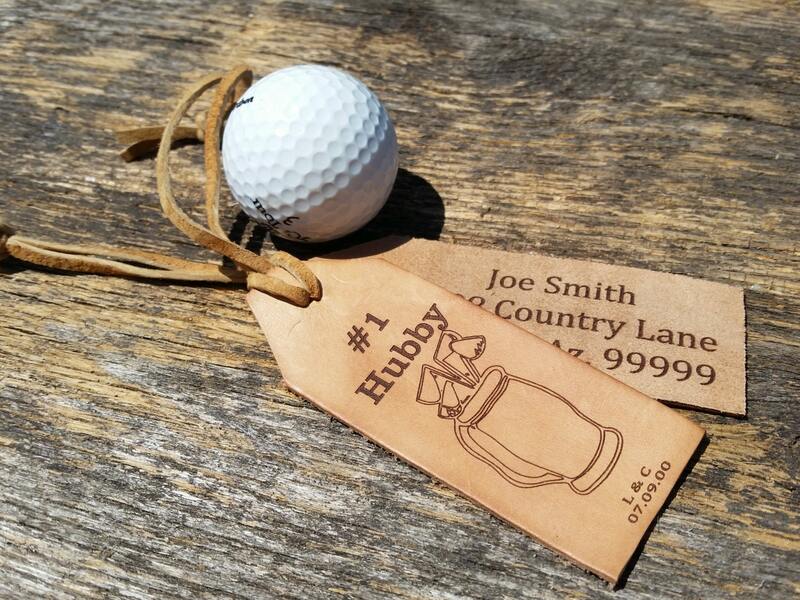 Looking for a meaningful gift for your hubby that likes to golf? 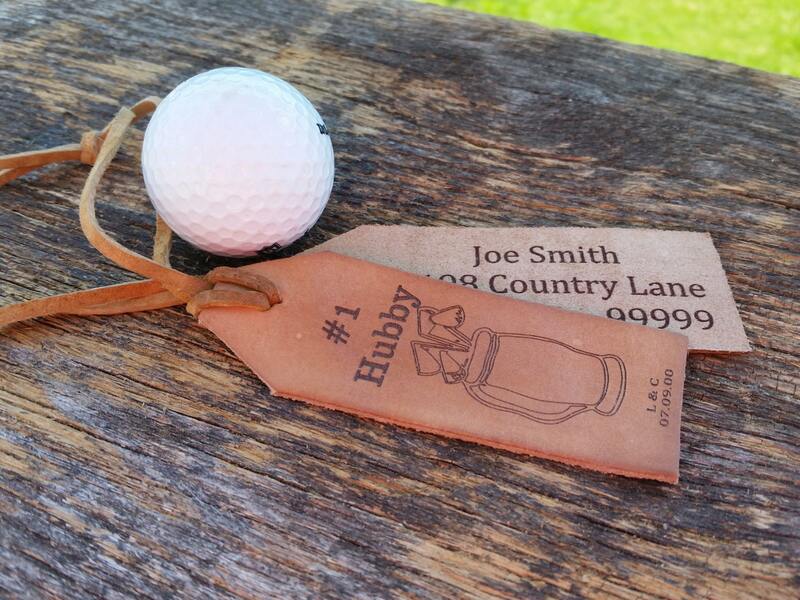 Oh why not give him these beautiful set of leather luggage tags for your 3rd wedding anniversary? 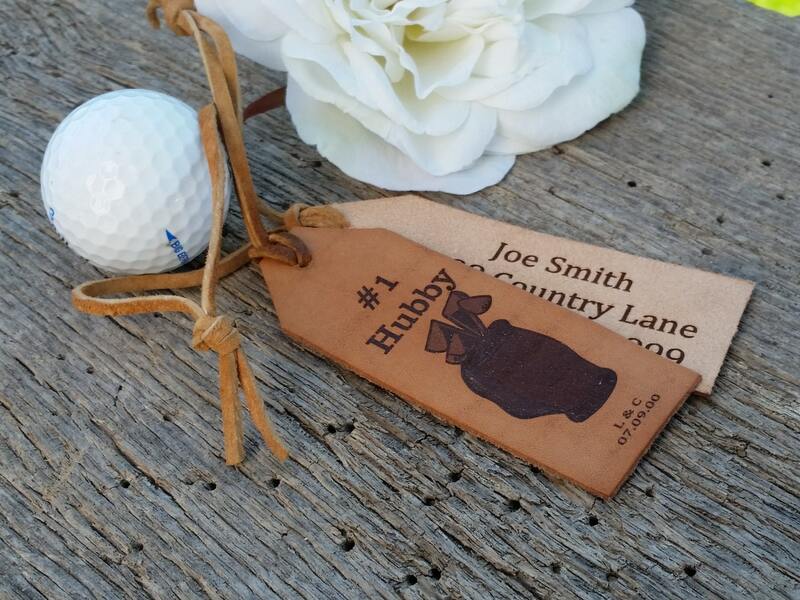 Our beautifully crafted leather luggage tags are the perfect gift he can use on his luggage each time he goes golfing out of state or he can add on to his caddy zipper or duffel bag. Size: 4 inch long x 1.5 inch wide with leather tie.